H.E. Mrs. Zehra Zümrüt Selçuk, Minister of Family, Labour and Social Services of Turkey, H.E. Mr. Hakan Çavuşoğlu, former Deputy Prime Minister of Turkey, H.E. 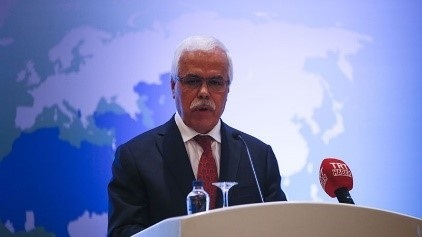 Mr. Ekmeleddin İhsanoğlu, former Secretary General of OIC, H.E. Dr. Mahmoud Al-Habbash, Qadi Qudat of Palestine, H.E. 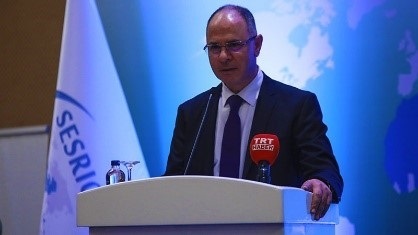 Dr. Halit Eren, Director General of IRCICA, H.E. Amb. 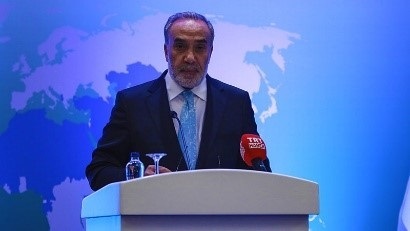 Musa Kulaklıkaya, Director General of SESRIC, H.E. Amb. Feed Mustapha, Palestine’s ambassador in Ankara, and diplomatic representatives of OIC Countries in Ankara, as well as other guests, attended the reception. Director General of SESRIC, H.E. 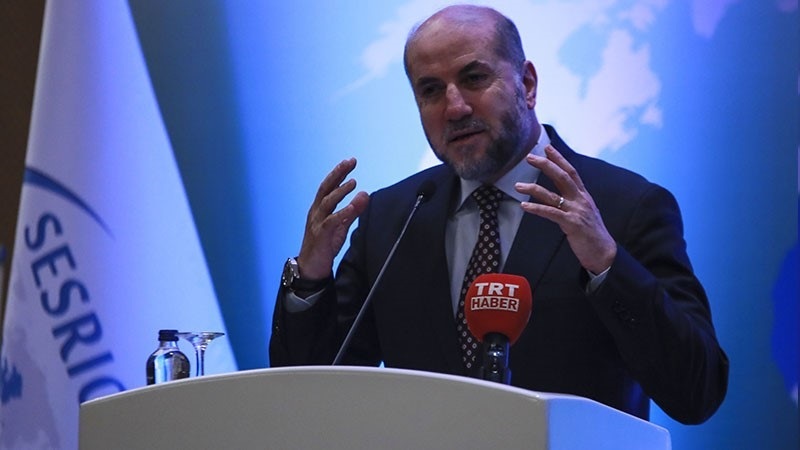 Ambassador Kulaklıkaya, pointed out during his welcoming remarks that the OIC is the collective voice and the representative of more than 1.8 billion Muslims from around the world. “The arson attack against Al-Aqsa Mosque in 1969 has motivated Muslims around the world to establish the OIC, which is currently the largest official political platform for cooperation among Muslim Countries and the second largest inter-governmental organisation after the United Nations.” He said. H.E. 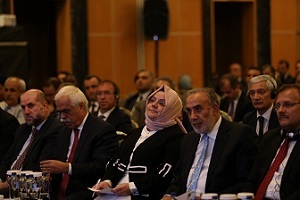 Dr. Eren stated as well at the opening that the establishment of the OIC is based on our common values and solidarity. Moreover, he emphasised that the current situation in Al-Quds (Jerusalem), in particular, and the Palestinian Cause, in general, are worse than before. The Palestinian Ambassador in Ankara, H.E. Mr. Mustapha, mentioned that the OIC is the biggest and the most comprehensive organisation after the UN. The Ambassador also stressed that “We will continue to defend our homeland and values until the end”. H.E. 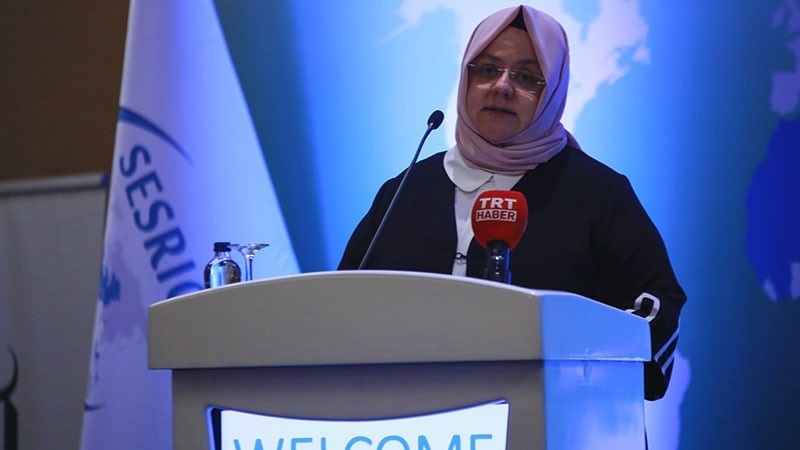 Mrs. Selçuk, Minister of Family, Labour and Social Services of Turkey – a special guest at the reception and the former Director of Statistics and Information Department in SESRIC – pointed out during her speech that the OIC has reached in 49 years a very effective political position, with a stable and encompassing work and cooperation among member countries. The keynote speaker at the reception, H.E. Dr. Mahmoud Al-Habbash, Qadi Qudat of Palestine and Special Advisor to Palestine’s President Mahmoud Abbas on Religious and Islamic Affairs, highlighted that Al-Quds Al-Sharif and Al-Aqsa Mosque are in a very critical period. Today Al-Quds is facing the destruction of Islamic history due to the Israeli occupation. The OIC has been established on 25 September 1969 as a reflection of the Israeli criminal arson of Al-Aqsa Mosque in the occupied Al-Quds Al-Sharif City in Palestine. With 57 member countries in four continents, the objectives and principles of the OIC aim at strengthening the solidarity and cooperation among its Member States. The OIC is the collective voice of almost 1.8 billion Muslim people around the world. It works towards ensuring, safeguarding and protecting their interests in the spirit of promoting international peace and harmony among various people of the world.